It is more interesting to attach photo to text message on iPhone to chat with others. The photo may reflect your status recently or a scenery image that you would like to share with others. Although this trick is popular nowadays, someone still does not know how to use this feature. Besides, when people can not attach photo to message, they have no idea on how to get rid of this issue. This guidance will show you how to attach photo to message on iPhone and how to fix the issue when you fail to attach images in text message. Part 2: How to Fix "Can’t Attach Photo to iPhone Message"
Imagine you have just traveled back from a famous place or it is a merry that you desire to share with others, you can attach photo to text message to tell them your current situations or mood. 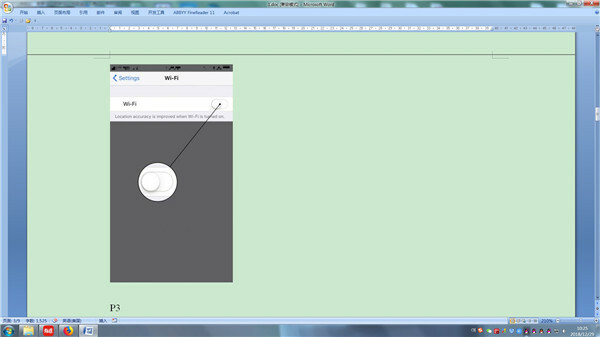 As for how to attach photo to text message, there are two methods you can make use of. You can use your camera to take a photo while you are sending to others and even edit the image to the effects you prefer. The steps shown below tell you how to make it in detail. 1. Run your Message app on home screen on iPhone, and then create a new conversation with someone you would like to send a message. 2. Click on the camera icon and then take a picture. Thus, you can click on “Effects”, “Edit”, or “Markup” to personalize the photo according to your demands. 3. After that, you can click on the button with an upward arrow or hit “Done” button to add a personal text message before you send your picture. If you desire to share your images that have been taken before to others, you can refer to the following steps to attach them to the message. 2. Click on the photo icon like a flower and then choose a picture or click on “All Photos” to select an image from your Photos application. After that, you can edit the image or make use of “Markup” before you send it. 3. Finally, you can click on the button with an upward arrow to send the message with an attached photo. If you do not know these two methods to attach photo to text message before, you can now have a try on your iPhone. If you have failed to attach photo to message on iPhone, you can attempt the following tips to fix this issue. Since messages are sent to others via the connection to the internet over your iPhone, you can test the connection to the internet to confirm the normal connection. If your iPhone is connected to Wi-Fi network and you can’t attach photo to message, you can go to “Settings> Wi-Fi” to turn off the Wi-Fi network connection. Thus, your iPhone will be connected to the cellular data network, and you should see LTE, 4G, or 3G showing in the upper left-hand corner of the window. You can now try to use the cellular data network to attach photo to message once again. 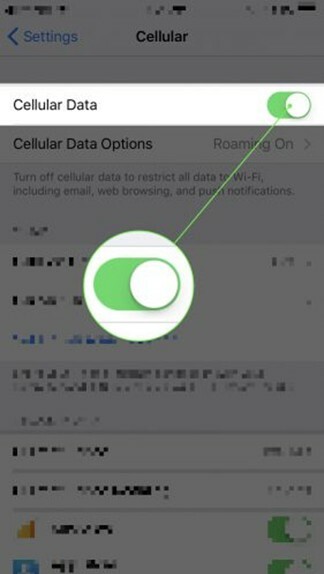 If your iPhone is not connected to Wi-Fi and you can’t attach photo to text message, you need to make sure your iPhone’s cellular data feature is turned on. Go to “Settings> Cellular” and then to check out if the switch next to “Cellular Data” is enabled. Thus, you can try to attach photo to message again. You can also try to update iOS system to fix the issue that you can not attach photo to message. Go to “Settings> General” on your iPhone to check the new version of iOS system and following the screen instructions to make it. You can also change the Message app to attach photo to the text message, such as Skype, Facebook, Whatsapp and etc. After you tried the above tips to fix the issue, you can send messages with attached photos to others at ease. After you have known how to attach photo to message on iPhone, you can continue to learn how to avoid the loss of them by backing up the messages and photos attachments with reliable software. In this part, I would like to recommend you use Leawo iTransfer and iTunes to make it. Leawo iTransfer can fix the transfer issues of 12 kinds files among computers, iTunes and iOS devices, which is known as one excellent file manager. Its transfer speed is high and its results are accurate. Now I will show you how to backup message and photo attachment with this great tool. On your computer, you need to run the software and then connect iPhone with PC with proper USB cable. Navigate to “iPhone icon > LIBRARY > Photos” or “iPhone icon > LIBRARY > SMS” to check the photo attachments or messages on your iPhone in the right part of the window. Afterwards, you can select the photo attachments or messages that you want to backup to computer from iPhone and then click on the transfer button at the bottom right of the screen. Click on “Save to Folder” and then hit the “Change” button to set a folder to save the exported files on computer. Finally, you can click on “Transfer Now” to begin to backup iPhone photo attachments and messages to computer from iPhone device. This process will only take you several seconds. iTunes is also helpful when it comes to backing up files from iPhone. The steps shown below will direct you to use it to back up message and photo attachment smoothly. 1. Run the latest version of iTunes on computer and then insert iPhone into PC with a USB cord. 2. On your iTunes interface, you need to click on “Preferences > Devices” and choose the option of “Prevent iPods, iPhones, and iPads from syncing automatically” to check. 3. Click on the iPhone icon and then navigate to “Settings> Summary” tab. 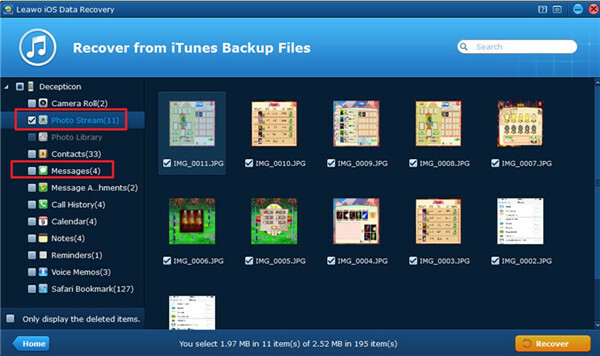 In the right part of the iTunes screen, you will see the area of “Backups”. 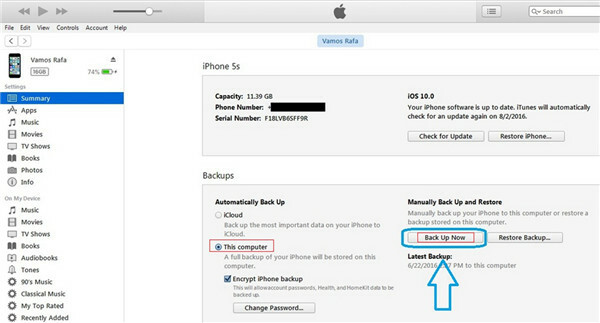 Here you need to tap on “This computer” and then hit “Backup Now” to backup all iPhone files, which surely includes your iPhone messages and photo attachments. 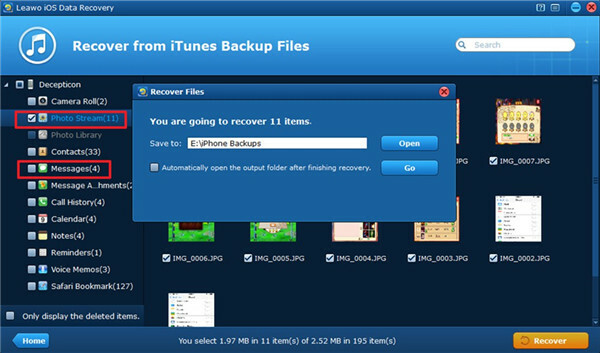 As you can see, the backup results of iTransfer are more accurate than iTunes, which allows you to choose the specific files that you desire to backup. It is common for us to delete files on iPhone by mistake. If you have carelessly deleted some meaningful or precious messages and photo attachments on iPhone, you still have the chance to get them back with the help of Leawo iOS Data Recovery . The following steps will show you how to apply this powerful program to make it. Plug iPhone into computer and then run Leawo iOS Data Recovery on computer. 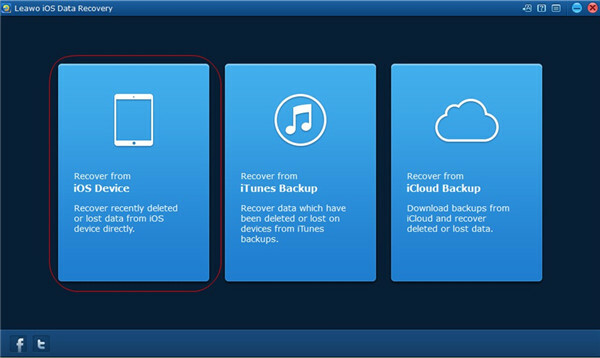 This software will recognize your iPhone and then you need to click on “Recover from iOS Device”. 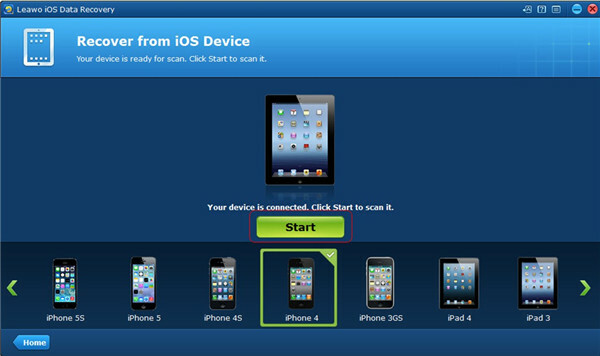 Click on the button of “Start” to initiate the process to scan your iPhone with this software. When the scanning process comes to an end, you need to check the options of “Photos Stream” and “Messages”. In the right part of the window, select the messages and photo attachments you desire to recover. Finally, you can click on the “Recover” button in the interface. In the next panel, you need to click on “Open” button to choose a proper directory on computer to save the recovered files. After that, hit the “Go” button to invoke the recovering procedure. After a while, the deleted iPhone messages and photo attachments will be saved on your computer local folder. This software is quite efficient in recovering files. If you desire to transfer the recovered messages and photo attachments to your iPhone, you can still make use of Leawo iTransfer to get this task done.